WITH the backing of international fluid transfer solution specialists Pirtek, and under the guidance and ownership of Australian motor sport identity Brett ‘Crusher’ Murray, the Brabham name is set to return to the Indy 500. The new race team, to be run in conjunction with KV Racing Technology, who won the Indy 500 in 2013 with Tony Kanaan, has created the opportunity of a lifetime for Matt Brabham, the grandson of the legendary Sir Jack, in next year’s 100th Indianapolis 500, set to take place on May 29. Brabham, just 21, will become just the third third-generation driver to qualify for the 500, following in the footsteps of his grandfather Sir Jack who drove the first ever rear-engined car in the race in 1961 and his father Geoff, who had a best finish of fourth from his 10 starts (1981-1993). 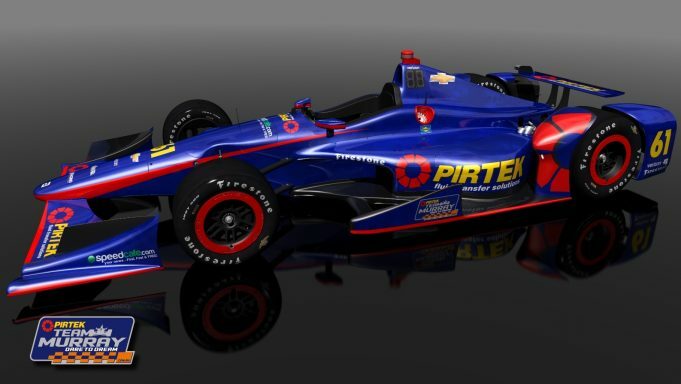 The entry will be known as Pirtek Team Murray and will compete in the Angie’s List Grand Prix road course race at Indianapolis on May 14 and the 100th running of the Indy 500 on May 29. Brabham has spent the last four years forging his open-wheel career in the US. He won the USF2000 and Pro Mazda Championships before progressing to Indy Lights. He is set to get seat time in a varied list of events in preparation for next year’s Indy 500, which he is hoping will lay the foundation for a full-time IndyCar drive. The 21-year-old will be the ninth Australian to qualify for the Indianapolis 500 since Rupert Jeffkins, from Maitland in NSW, drove in the very first event in 1911 in a car entered by the Velie Motor Company, from Illinois. Pirtek Team Murray was officially launched in Sydney today where Matt is taking part in Stadium Super Truck exhibition races as part of the final round of the V8 Supercars Championship around Sydney Olympic Park.